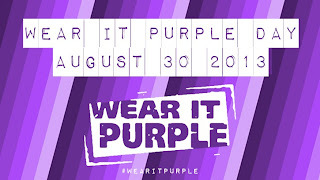 People and Society: Wearing it Purple - 30th August. 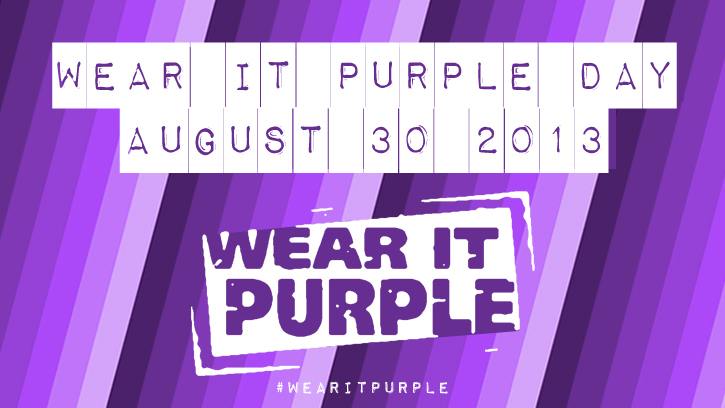 Wearing it Purple - 30th August. You may notice some changes on some sites in our corner of the internet this weekend- they're temporary, but important. Friday the 30th of August is "Wear it Purple" Day, a day that seeks to raise awareness about the issues faced by rainbow (ie sexuality- and gender-diverse) young people and the need to eradicate bullying based on sexuality and gender diversity. Young people are one of the most vulnerable groups of renters, finding it difficult to compete against older, richer and more established renters. That may be the lot of the young renter, but we also hear from young people who are being taken for a ride, or unfairly accused of various antisocial behaviours. In your correspondents time as a tenant advocate, there was one particular case where a young gay couple lived in a building with mostly older residents. They lived fairly quietly, but were constantly accused of having 'wild parties' because they were some of 'those type of boys'. Due to the persistence of a particular owner-occupying neighbour, the matter got all the way to the CTTT, and the tenants were facing termination. Fortunately the matter was resolved there- of the various wild parties they were accused of holding, only two dates were given. Both 'wild parties' turned out to be the tenants and their parents having Sunday dinner- a total of 5 people, and the guests went home at about 8pm. We're supporting Wear It Purple because, just like all tenants, rainbow youth have the right to peace, comfort and privacy in their tenanting lives. We'd encourage you to wear it purple too- click the links above to see how! Where do the parties stand on housing?